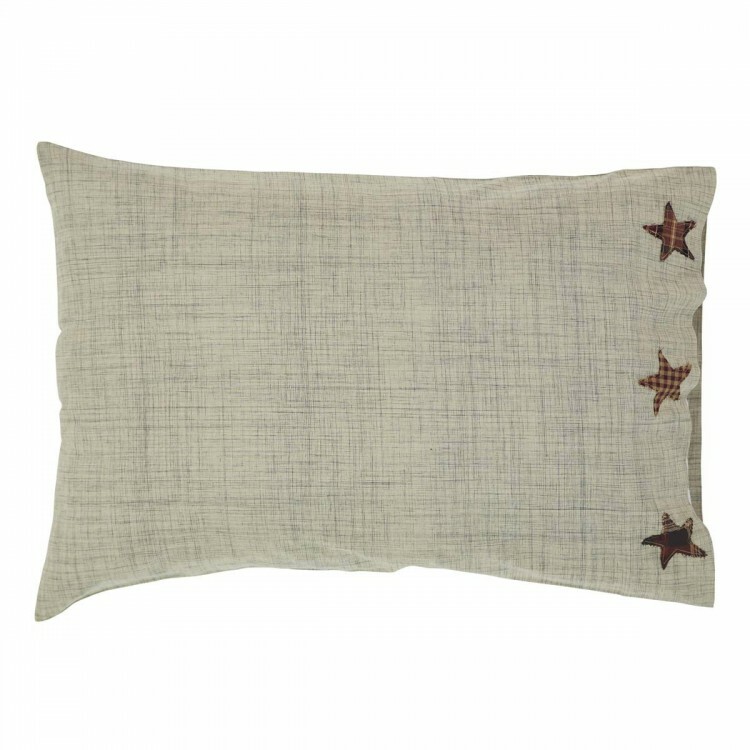 These pillow cases are 100% cotton. 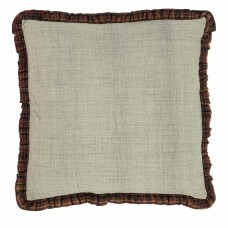 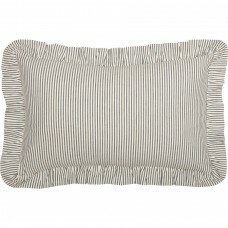 It features a dark cream with a dark grey slub weave interwoven for a detailed and unique color variation and texture. 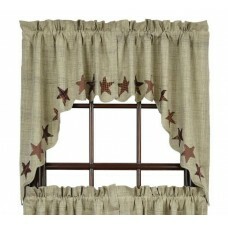 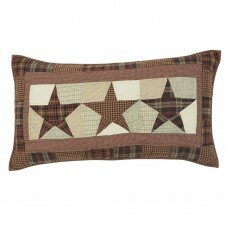 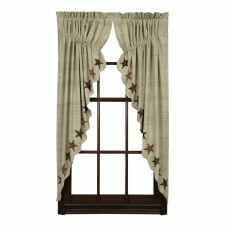 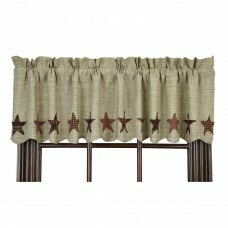 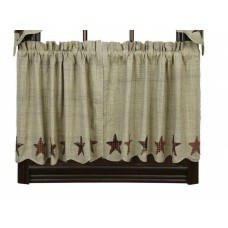 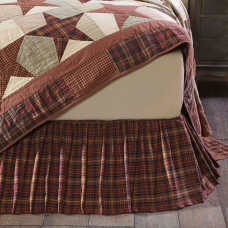 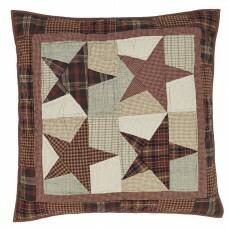 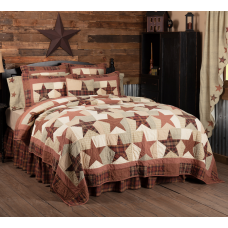 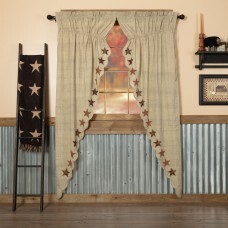 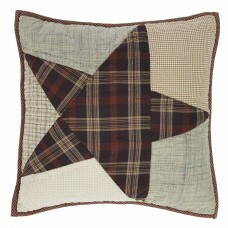 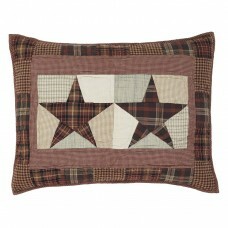 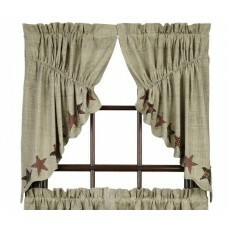 The edges have 3 appliqued 3" stars with frayed edges. 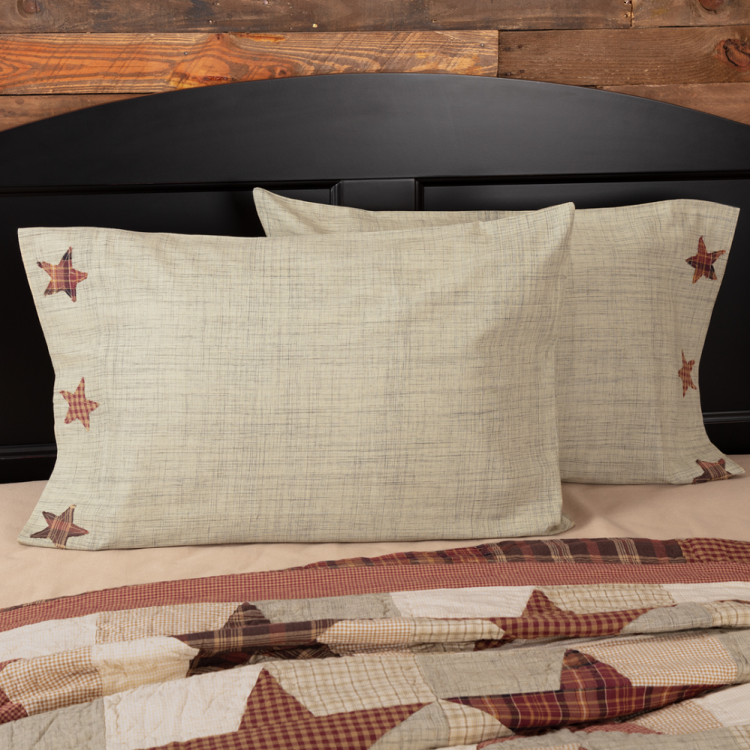 Each Pillow case measures 21"x30". 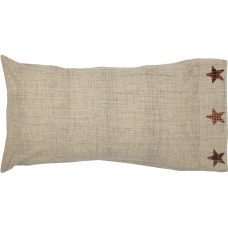 Pillow Cases are sold as a set of 2 pieces.